With Hiphop and Rap music being dominated mostly by males, the ego pretty much comes built-in. "I'm so and so, I'm this, I'm that..." is not only a hot line but it is the truth about the music industry. There are all kinds of colorful artists out here in "the game" but the ones that truly shine are the ones who are not afraid to promote themselves. I'm talking about the ones who have no shame in promoting themselves to the point that you MUST listen to what they are saying or doing. My experience in the business world has proven this to me time and time again. 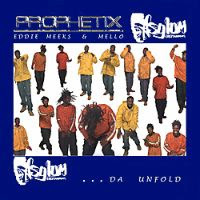 I remember when I was promoting Da Unfold EP by my group Prophetix. I was out promoting in the streets and online all the time, every moment I could get. People knew that I was a hustler because of how much they saw me in the street. They bought into the hype I was selling. Since then, whenever people see me or one the other members to this day, they always ask where the other members are because of the standard we set in the underground Hiphop scene in Atlanta. ...AND ARE YOU LOUD ENOUGH????? Remember, the squeaky wheel gets the oil! P.S. If you already make beats online and you would like to learn how to promote your music then click here to check out Liveoffbeats.com. Now go ahead and get your squeaky wheel on!! !